Navy installations throughout Florida are preparing for heavy weather as Hurricane Irma approaches South Florida. Commander, Navy Region Southeast, Rear Adm. Bette Bolivar, directed the evacuation of non-essential personnel and family members from Naval Air Station Key West, Florida, Sept. 5. “Their safety and security is a top priority,” Bolivar said. Approximately 50-60 mission essential personnel are remaining behind to maintain essential functions on the installation. 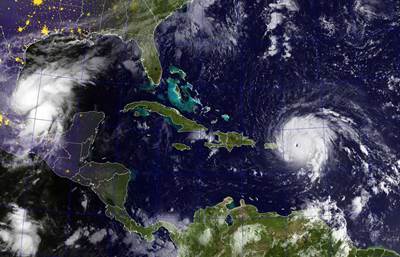 Naval Air Station Key West personnel have a designated safe haven area of within 300 miles of Atlanta. Personnel and family members need to muster with the installation, their command or through the Navy Family Accountability and Assistance System (NFAAS) website upon arrival to the safe haven area. At the Atlantic Undersea Test and Evaluation Center, 166 non-essential personnel and family members and 97 pets are being airlifted from the facility off the Florida coast. They will be headed to their designated safe haven. Personnel and family members who evacuate must be placed on evacuation orders issued by their parent command. For Navy Installations Command personnel and families, the safe haven is within 300 miles of Atlanta. For personnel and family members assigned to other commands, they should proceed to their command’s designated safe haven. Personnel and families will be reimbursed for lodging and per diem at the approved rate for their designated safe haven. U.S. Fleet Forces, Navy Installations Command and Navy Region Southeast are providing support to the installations. Personnel and family members should check installation and Navy Region Southeast social media and websites and stay tuned to local radio and television stations for updates and additional information. All Navy personnel are encouraged to update emergency contact information through the NFAAS, which can be accessed at www.navyfamily.navy.mil, or through the NFAAS smartphone app available for both iOS or Android. If personnel need support, they can complete a needs assessment through the site or the app on their smartphone and a Navy counselor will make contact to provide assistance. Emergency Family Assistance Centers will open after storm passage. Personnel and family members are encouraged to check Facebook pages for their installation or Navy Region Southeast for the latest information and updates.